November is usually a rainy month in Florence, and this year has been no exception. Visitors to this Tuscan town, however, are in for a pleasant treat. 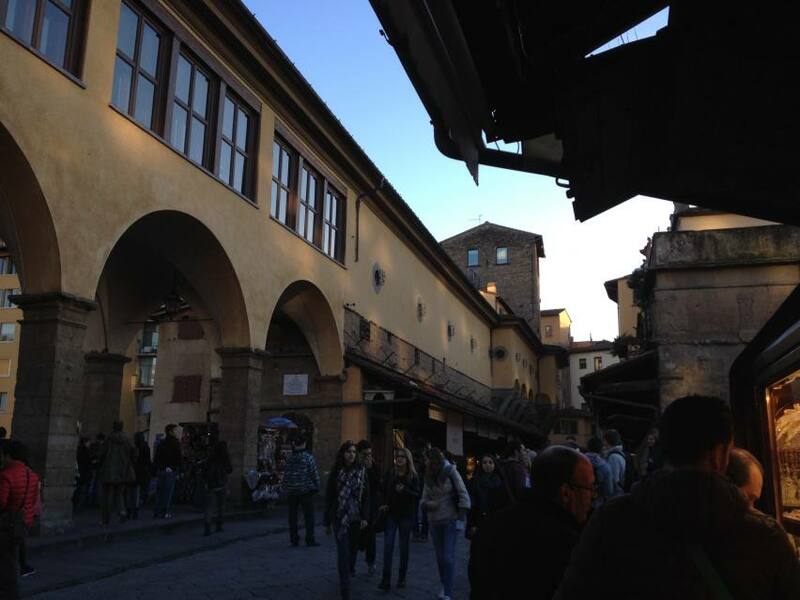 From now until the end of the month you can slip indoors out of the damp and appreciate some creative culinary takes on Florence’s historic recipes during the 2014 Biennale Enogastronomica Fiorentina. Those of you who are gluten-free, like me, will be delighted to discover that you can satisfy your taste buds as well. Two restaurants on the list are certified gluten-free by the Italian Celiac Association and a quick chat with their staff confirmed that each of their proposed Biennale menus are completely gluten-free! At the Hostaria il Desco, you can enjoy the “Minestra di riso con versa e lampredotto” and the “Cinghiale in dolce forte.” At Trattoria Cammillo, you can savor the “Durelli in umido (cipolle)” and the “Inzimino di baccalà.” Both restaurants, which also offer gluten free options from their regular menus, are conveniently located within walking distance of the Ponte Vecchio, one on each side of the Arno, so you might just decide to try both. Make sure, as always, to alert your waitstaff when you arrive that you are gluten-free and then, of course, enjoy! For further info on the biennale, you can visit the official page of the Biennale Enogastronomica Fiorentina.